We have established ourselves as a renowned Manufacturer, Supplier, and Exporter of Disposable Surgeon Cap. Disposable Surgeon Cap is manufactured using sterilized spun bond polymer non-woven fabric and spun lace fabrics. 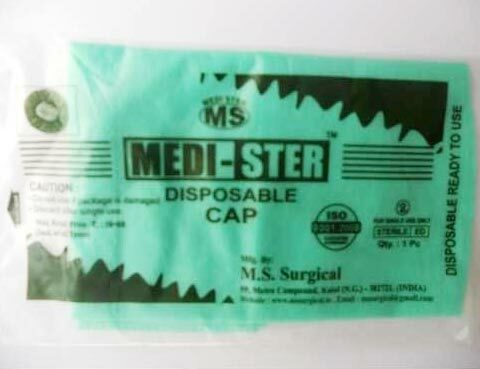 Disposable Surgeon Cap is comfortable to wear, thus do not cause irritation while performing complicated surgery. Disposable Surgeon Cap completely covers hair of surgeons, ensuring protection of patients from organisms.